After standing for over one hundred and fifteen years, hosting thousands upon thousands of guests at its height, the historic Rexmere Hotel stands no more in Stamford after being engulfed by flames yesterday morning. It took only a couple of hours for the seven story structure to succumb to the fire, despite the gallant efforts of hundreds of firefighters. 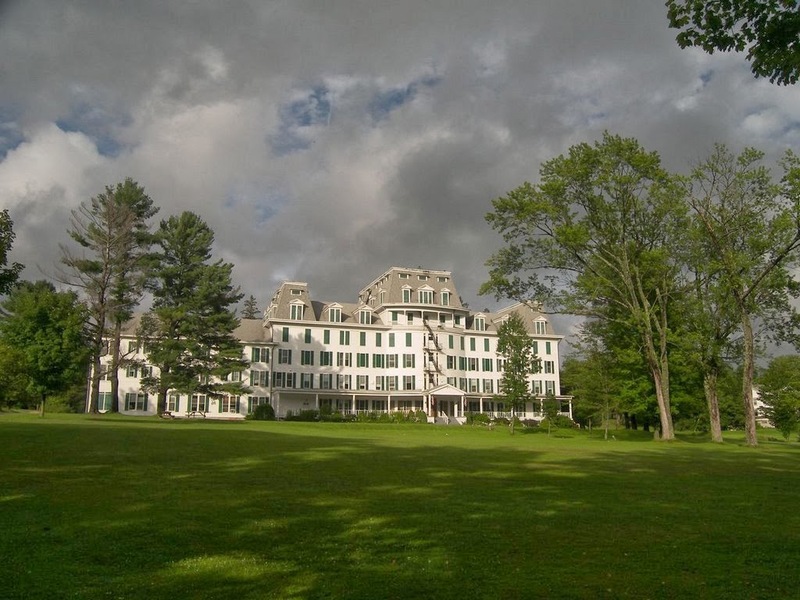 The Watershed Post was on the scene, capturing haunting photographs of the once prized mansion and offering extensive background information about the structure, which was recently put on the market after being utilized for years as administrative offices by BOCES. Among the estimated three hundred area firefighters on scene, several companies responded from Schoharie County, but little could be done to save the wooden tinderbox from the destructive flames that brought upon the official end to what was once a thriving network of wooden, majestic 19th century hotels that will never be seen again. There were firefighters from Davenport, Pindar Corners, Oneonta, Sidney, Delhi and Catskill along with Delaware and Schoharie county.